2013 has been an amazing year for the RECON project. We’ve progressed from an idea to a community in this short period of time. One element of this effort is to better understand our observing system. Central to that need is our camera and the data system (miniDVR). This post includes a summary of lessons learned and plans about where we’re headed in the future. First the bad news. There are settings for the camera where the data will look good but you will get very poor timing results. 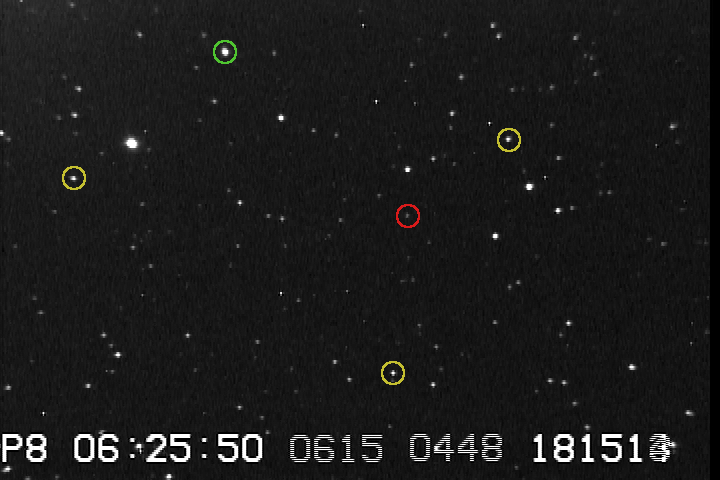 The image to the right shows a mis-configured camera. The incorrect settings in the red box all lead to potentially strange results. What does it do? Well, note the setting here for a sense up of x16. The sense-up setting controls the effective exposure time for the data. In this case each image from the camera is supposed to take 16/59.64 seconds (0.267 seconds). You cannot figure out an accurate disappearance time if you don’t know the exposure time. The automatic modes shown in this bad example have the effect of letting the camera adjust the sense-up setting at any time it likes. The idea here is that with these modes it’s all about getting a pretty picture, not about taking accurate occultation data. This doesn’t always mean the data will be bad. In fact, you can’t really see a problem just visually looking at the screen. It’s only when you extract a lightcurve that you see what’s happening. In principle, if you knew exactly when each exposure happened and what it’s duration is, you can get back to the correct timing. Unfortunately, there is no reliable way to ensure knowing this and the result is that you have to guess in order to analyze the data. I hope I don’t have to spend a lot of time convincing you that guessing is a bad way to do a scientific measurement. 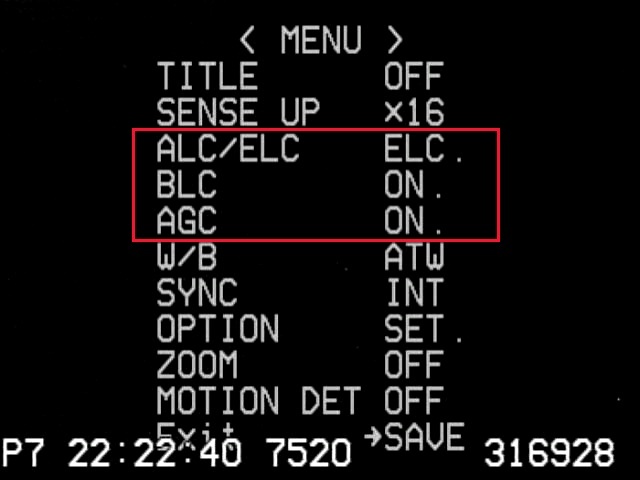 The bottom line here is that you must always have these settings set to the recommended standard and fixed values, forcing the camera to operate in the same way throughout the observation. What brand and model frame grabber are you using? Congratulations on getting the 5-year grant for RECON. That is a major accomplishment. I always thought that if you got your grant, you would have enough sites that a mini-DVR manufacturer might be willing to make a special run of devices for RECON as well as IOTA observers. All that is needed is the use of a different uncompressed ‘codec’, with perhaps the capture of ‘field’ data into frames, as well. With all of your sites and a couple of hundred sales amongst IOTA observers, I think such a special run could be profitable for a manufacturer. Maybe now is the time to check into this?